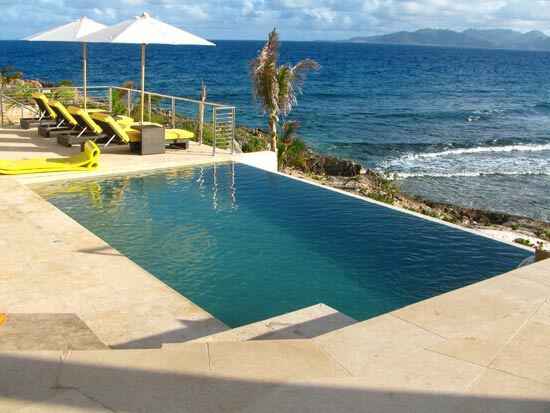 When I heard Nori wanted to write a page about Rum Punch Villa, I had to take the reins. 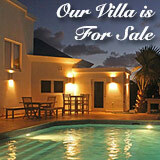 Rum Punch Villa is one of my favorite Anguilla rental villas! Let me tell you how I fell in love with Rum Punch. 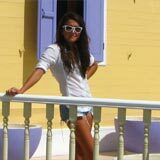 When I lived in Anguilla in 2008 I met my best friend, Tess. 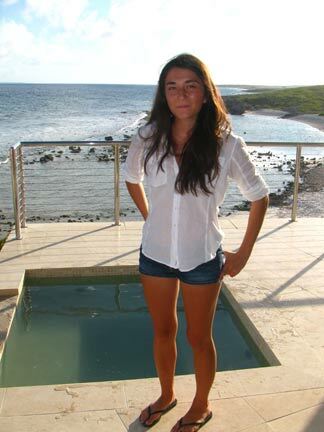 Tess and I were practically inseparable when I lived on the island, attending high school together in St. Maarten. And now that I live on a different island (hundreds of miles north! New York City!) we are closer than ever, keeping in close touch with our computers (nothing beats Skype!). "Yuki, Yuki, Yuki! It's done!," she exclaimed. 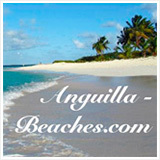 It was the Anguilla villa her family had spent over a year carefully constructing. The first weekend after it was done was "test weekend," to get a feel for the villa and note any little improvements that needed to be done, so Tess invited me over for our weekend movie marathon. Nori and my Dad tagged along for the tour. How could they pass up an opportunity to see the very sleek and modern Rum Punch? 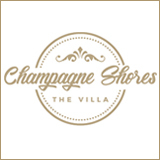 Bruce, Tess' step dad and luxury villa manager (with several years of experience with ultra high end clientele! ), gave us the official tour. 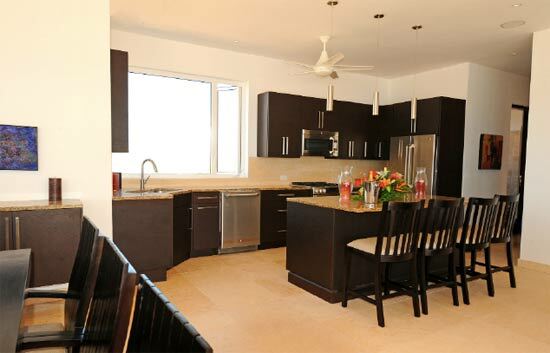 This Anguilla rental villa has 3 bedrooms, 4 bathrooms, 1 indoor dining room, 1 outdoor dining space, 1 indoor living room, 1 outdoor living space, and 1 sensational media room. 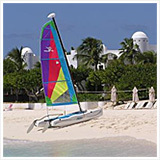 There is also a separate "penthouse apartment" type unit upstairs, which comes equipped with a kitchen, living room, dining space, bedroom, bathroom, and balcony with sweeping views of a private beach and, of course, the mysterious mountains of St. Martin. I had to blink twice when I first walked in! 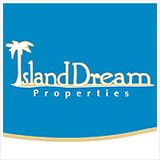 Luxury at its most cutting edge! The furnishings influenced by modern Italian design. Think... James Bond! 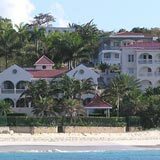 Of all the Anguilla rental villas, this luxury Anguilla villa suits him to a T.
The stunning view of the infinity edge pool, the Anguilla channel, and the rolling hills of St. Martin that greets you is enough to steal your heart. 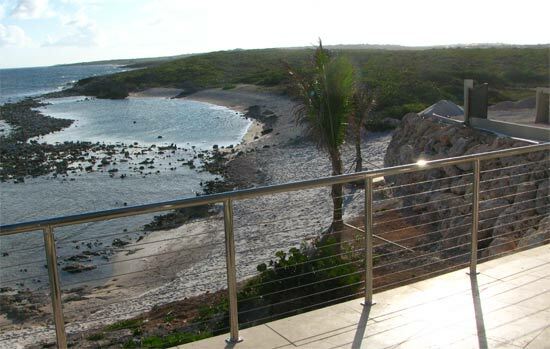 The outdoor lounge area is the perfect place to spend sunrises, sunsets, and just about everything in between. And a Hot Tub Too! Tess and I love baking. We had the best time baking at Rum Punch because of all of the available counter space and high-tech cooking tool. It is a state of the art kitchen. As for the dining room... I could see James Bond dining with that view, at that table! 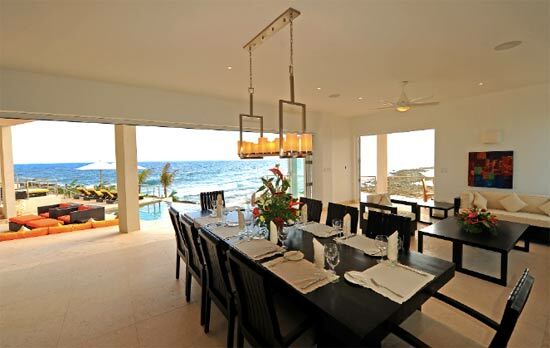 The dining room provides a view of Tintamare and on a clear day, St. Barths. Dining options don't end there! Rum Punch also has an outdoor dining space. 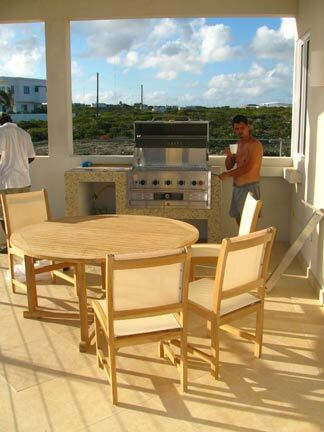 And, you will find it complete with a beautiful BBQ outside too. Yep, Rum Punch can arrange that too! Bruce and his wife Elaine cooked some steaks on the BBQ when I was there for dinner. Mmm! Apart from the kitchen, Tess and I spent the most time in the media room. The latest in media options here too! There is a plasma screen TV, satellite, a desktop computer, a Wii, and a Blue-Ray DVD player. And of course a couch that lures you and never lets you leave! It's that comfortable. 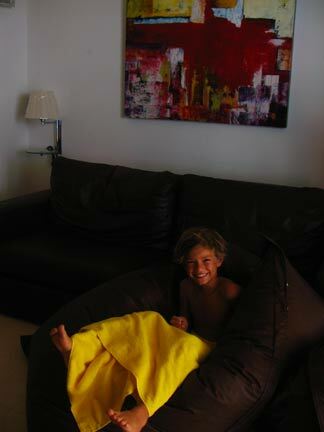 There are also "Fatboy" beanbag chairs, which Tess' little brother stayed sunk into all night! It's the perfect veg out room. Cool, dark... ideal movie-watching climates. What about the "sleeping quarters"? Rum Punch has a total of 4 bedrooms. There is one private bedroom in the upstairs penthouse, two smaller bedrooms, and one master bedroom. The bedrooms are set back from the pool area, the master bedroom on the far corner. 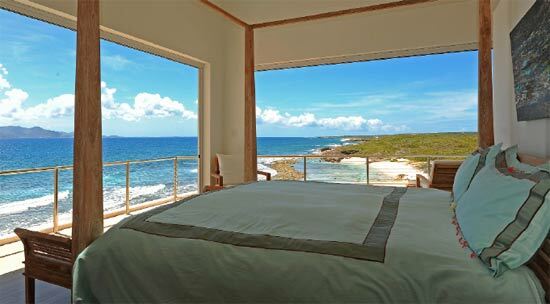 The master bedroom has views of the open Caribbean ocean and of St. Martin. 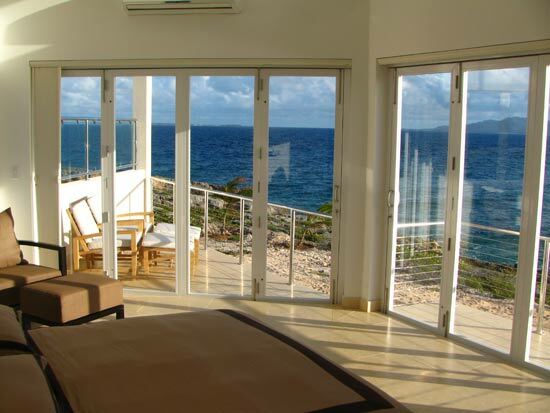 One of the best parts about the master bedroom are the private patios that face the Caribbean sea! There are flat-screen TVs in each of the bedrooms, and adjoining bathrooms, each with a bathtub and two of them feature outdoor showers. Now the upstairs "Penthouse" has a separate entrance apart from the main villa. 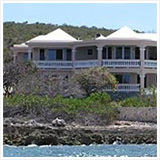 It has a full bathroom with a tub and shower, a full kitchen and dining area with a living area, plasma TV and satellite, and of course the luxurious bedroom with views of St. Martin, and all down Anguilla's southern coast. The best part? The living/kitchen/dining area's high vaulted ceilings! The "Penthouse" feels fresh! 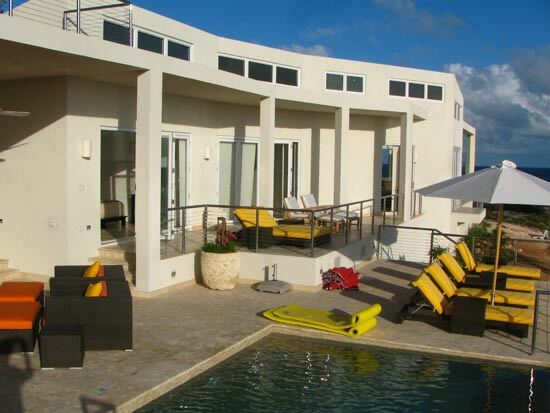 Besides Rum Punch's one of a kind design, and luxury list of amenities, you can't deny the natural gifts this Anguilla rental villa has to offer. 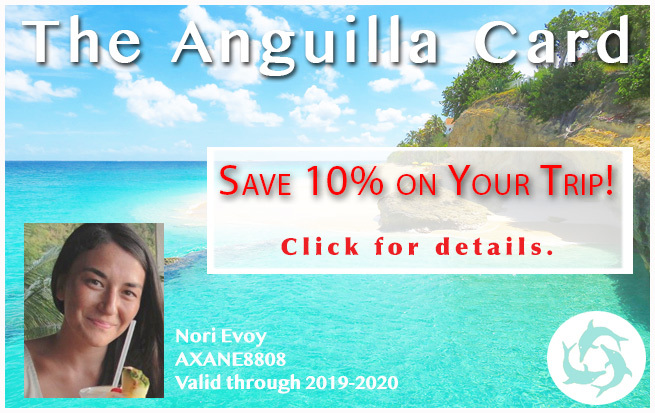 You virtually have this gentle, protected cove all to yourself, without any other Anguilla rental villas on the little bay. 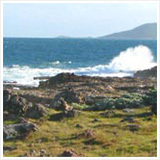 Welcome to Dropsey Bay, a calm beach that you rarely have to share... except with the fish and marine life! 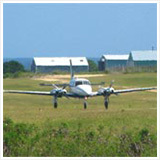 And there sure are a lot of interesting snorkeling sights to be seen here! From unique sights in nature to divine luxury living, Rum Punch has your bases covered.